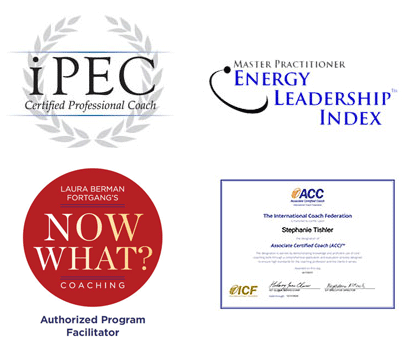 My name is Stephanie Tishler and I am a Certified Career and Business Development Coach. I help highly motivated professionals transition, transform and optimize their careers or businesses to align with who they uniquely are. This happens through a coaching partnership, where awareness helps shift energy and creates change. Working from Glastonbury, CT, I can help you reach your goals by leveraging your strengths and helping you overcome obstacles in a positive and supportive environment. This meaningful process will help you work more efficiently and live your life more effectively. I can work with you in person or over the phone. My 20+ year career in advertising sales allowed me the greatest privilege of working with some truly incredible brands. From Discovery Channel to Women.com, to iVillage then Oprah.com, I bring a plethora of experience to the table. I was fortunate to have a coach in my early 20s. I still use the strategies and tools she taught me today. The positive experience I had with coaching is part of what led me to pursue a certification in this field. To balance my life outside of coaching I love to run, shop and read. 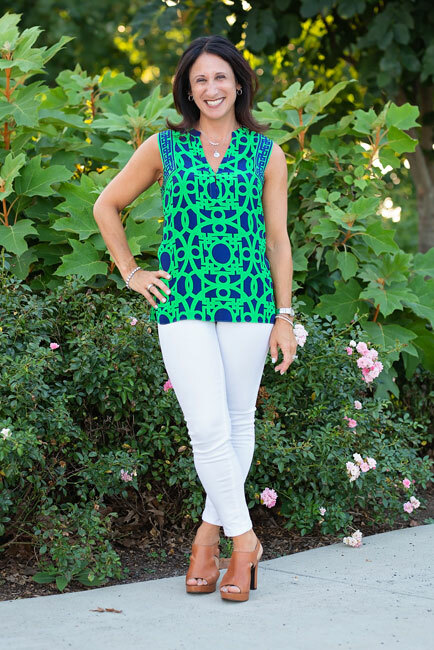 I enjoy pilates, boating and spending time with family and friends. I am always up for a good game of mahjong as well. My goal is to empower you to unlock your full potential. I do this by getting to know you, your goals and your challenges. We work together to identify blocks and implement strategic tools for daily use. Often times having someone hold you accountable can be the key to success! One of the greatest benefits of coaching is the sustainability of changes that takes place through the process. With the focus on you and your ability to find solutions from within, you unlock your true potential. It’s really hard to have it all. It is even harder to have it all, all the time. However, with strategic planning, organization and focus, there is a way you can maximize performance in both. If you are open to exploring a different way to live and work, let’s get started! Coaching is a partnership in which a safe, non-judgmental space is created to focus on self-awareness, growth, and change. It is amazing what can happen when a client shows up in every way possible - bringing their "A" game, along with an open mind and heart. I believe that the answers lie within each client. I work as a partner to offer another perspective to shift mindset and energy. This results in long-term, sustainable change, as well as productive results that match the client's intended goals.